Phired Up Productions has an ongoing Dynamic Recruitment Assessment to gather more information about the recruitment strategies of fraternities and sororities. We receive responses daily, and at our last analysis of over 1300 students from across the country, one of the responses that struck me answered the question “how much of your recruitment process clearly reflects your values?” Our respondents indicated less than half of their recruitment process clearly reflects our values. We drop the word “values” all the time. We emphasize our values within our membership, but we still haven’t created a recruitment process that reflects our values. We understand our organization’s values, but we don’t talk about our values as a chapter or our values as individuals and how our organization shapes our values. Sometimes I think this task is easier said than done, so I wanted to share some tips on ways to implement and translate our values into our recruitment process. These tips certainly won’t cover all of our values, but hopefully will get your brain buzzing about other ways that you can infuse values into your recruitment process. Every women’s fraternal organization has a value relevant to sisterhood and/or friendship. As we transition away from “skit” rounds, many communities are implementing a “sisterhood” round. One way that we can infuse our values into our recruitment is by using candid moments with our sisters and compiling those into a video – instead of a recruitment video that is staged and professionally recorded for us. Most college students have SnapChat these days. Many of us post pictures and videos with our sisters on our SnapChat and can easily save that fun, candid moment to put into a montage for later to show during recruitment. Another creative way to infuse a shared value of scholarship and intellectual development is to use our sister’s “A papers” to make our decorations during recruitment. Instead of showing boards with information about all of our women who are in honor societies and talking about the GPA requirements of our chapter – we can utilize this simple thing to showcase that grades matter to us. During recruitment, we can ask our sisters to wear a special pin that indicates if they are on the Dean’s List or Honor Roll. When the Chapter President or Recruitment Chair welcomes Potential New Members (PNMs) back to our house, we can mention that we are proud of the academic accomplishments these pins represent. It’s a super easy way to be more reflective of our values. It also doesn’t require us to spew facts and figures about every honor society our members are in, or all of the scholarships they have received. These are visible ways that we are demonstrating what is important to us. I think most national organizations value life-long commitment. A cool way to demonstrate life long commitment may be for us to pull out an old composite and hang it during recruitment and have a chapter member tell a story about a rewarding experience she had with one of our most engaged alumnae. Let’s take it a step further, though. We need to spend time identifying the values that apply specifically to our chapter and our members. What makes our chapter different? In our recruitment workshops, we need to have conversations centering around this point. Many of us take time during recruitment to love on ourselves and talk about our identity as a chapter on our campus. In order for us ensure that we are continually reflecting our values during recruitment, it is incredibly important for us to identify the things we value that are unique to our chapter. Once we understand our organizational values, our specific chapter values, and the values that we hope our new members hold, we need to identify the best ways to communicate those values in our conversations. I wrote a blog about how to have more values based conversations. Longer and more intentional conversations can allow for more values-based conversations between members and PNMs – we can talk about the organization’s values, our chapter’s values, what is important to us personally, and get to know what the PNM’s cares about and what matters to her. It’s just as important for us to understand the PNMs values as it is for us to share our values with her. I think there are so many ways that we can utilize our values in our recruitment process. It might just require some thinking outside of the box. It is becoming more and more important for us to know and understand what’s important to us, how the values of our organization impact us, and the ways in which we live our values out loud. Our values aren’t just words but rather guidelines that we choose to live by. 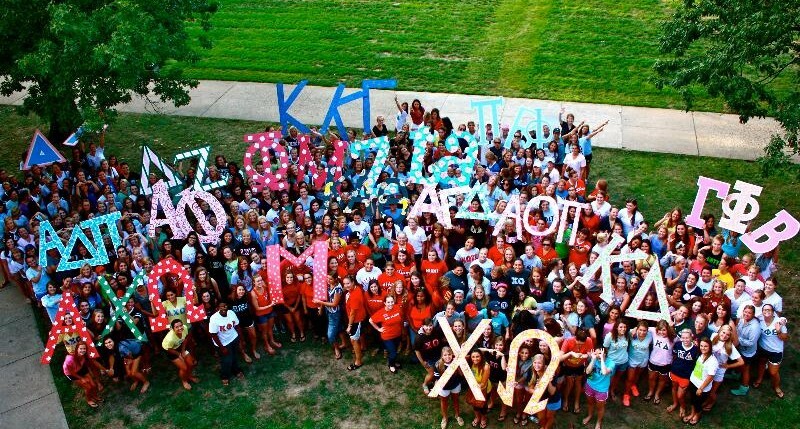 What are some ways that you and your campus community are doing to reflect your values during your sorority recruitment process? We would love to hear about them. Just tag @PhiredUp on Twitter or PhiredUpProductions on Instagram to show us your ideas!